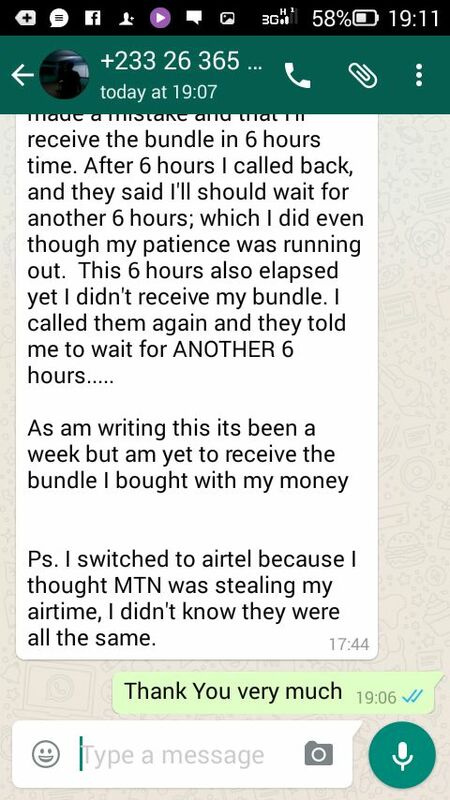 From the below E-mail and exchanges between a young man and Airtel Ghana, it seems Airtel Ghana is intentionally ‘stealing’ from its customers—this is being done cunningly such that the customer uses his credit unknowingly, thinking he or she is on a damn bundle. Reasonably, if you subscribe to a bundle and it finishes or before it finishes, Airtel Ghana or whatever network you are on is supposed to alert you via a text message that your bundle is about to finish or it’s exhausted. 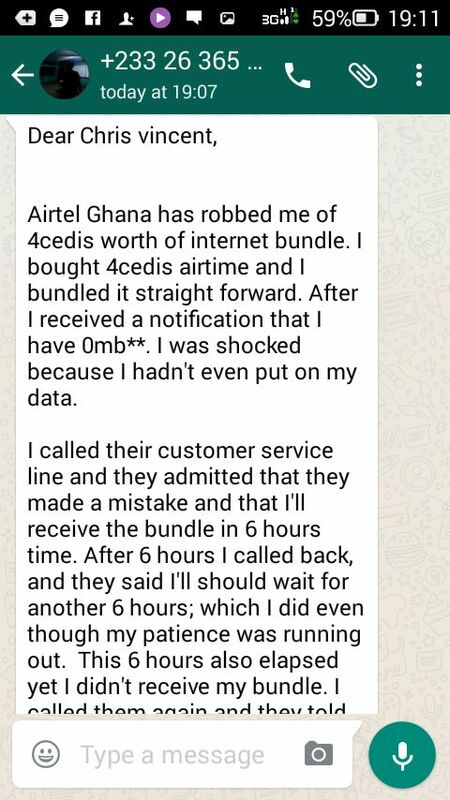 But in the case of this person which could be the experience of many other Ghanaians, Airtel Ghana did not tell him his bundle is finished and while he thought he was using his bundle, it turned out that he was using his newly loaded credit—which obviously is expensive. Here, it’s obvious Airtel Ghana would benefit from such a cunning enterprise; you are forced to use credits that you would not reasonable use thinking it’s in place and you are on a bundle. This is somewhat thievery; cleverly done—imagine how much Airtel Ghana would benefit if this is than to 100,000 Ghanaians in a week? And the misfortune to these customers? 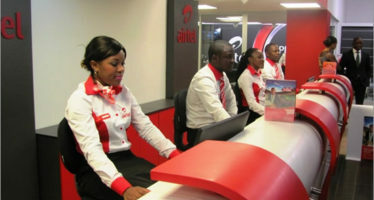 Can Airtel Ghana start alerting its subscribers when their bundle is exhausted instead of automatically rolling over to their existing credits? It’s unfair—and it falls within the scope of bad customer service to deceive the customer in such a way that he is at lost while you benefit greatly. Thanks for this opportunity to help frown at the greater disservice these telecommunications are delivering to us especially AIRTEL. I switched from MTN to AIRTEL thinking it came from “Heaven” unknowingly it’s the real “Atta Ayi network”. My point is this Vincent. Airtel has this PAY AS YOU GO PACKAGE and this how it works! I know you know but let me light it small with an example. I bought a 10 cedi credit and used 5 cedi for 200MB with the left 5 cedi for calls. What they do is instead of them promptly alerting you that you have exhausted your bundle so that you can choose whether to rebundle, they automatically switch U on the CALL CREDIT! I think as a customer you need to be informed about everything since you are the bussines! You will realise within seconds all your credit is gone just like that. 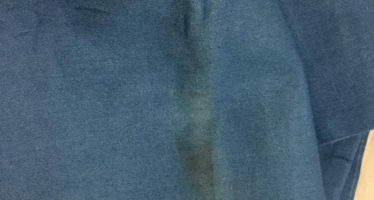 My issue is Vincent, initially they used to alert us when you have a 10MB yet to be exhausted and that was informative. All of a sudden they stopped. Disheartening is nowadays they send the “EXHAUSTED MESSAGE” after they have chopped your call credit. I have started engaging in NEGATIVE WORD OF MOUTH as a form of negative sales promotion. Tweeeeeea.!! 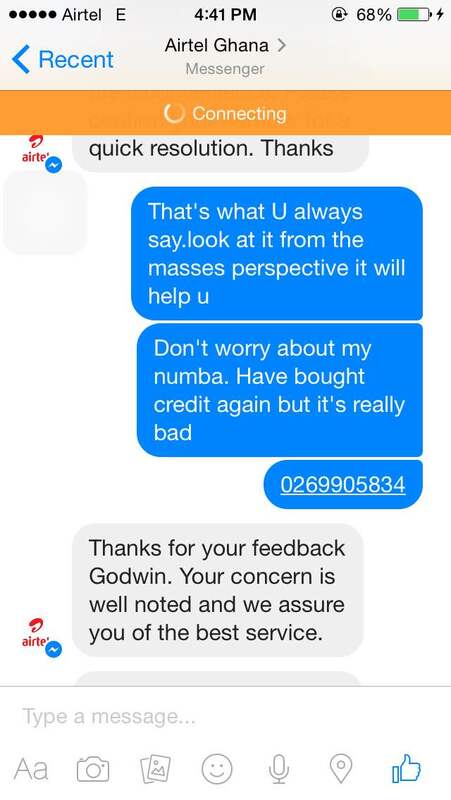 Attached is my War chats with airtel Ghana!! In direct contradiction to everything we have heard from complaining customers, Airtel claims they notify customers with about five messages throughout their use of data. “For instance an Airtel customer will receive their first notification when they have used 50% of their data bundles, then at 75% another notification is pushed to the customer. 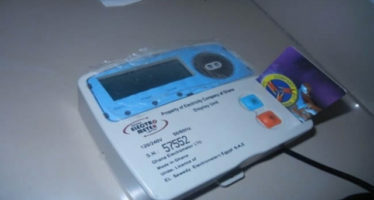 If the customer takes no action to renew the bundle, a third notification will be sent at 90%, at 95% and then finally at 100% when the bundle is completely used.” Louis Manu, head of product Development and Innovation told the workshop. “We have had this notification system in place for some time now. What we have done over the last couple of weeks is to further reinforce them as an early warning system to give our customers the opportunity to renew their bundles.